We have heard a lot recently about the new U.S. tariffs on imported goods and services and how they will affect American business. While some in business favor the new tariffs, others do not. Some of these opinions are based on facts; others are not. Tariffs once had the potential to be a big moneymaker for the U.S. Treasury as they were before the establishment of the federal income tax in 1913. From 1790 to 1860, for example, tariffs produced 90 percent of federal revenue, according to Douglas Irwin, an economist at Dartmouth College. However, of the U.S. government’s total estimated revenue for Fiscal Year 2019 of $3.42 trillion customs excise taxes and tariffs on imports are expected to bring in only $44 billion, according to the most recent forecast from the Office of Budget and Management. These tariffs are said to protect domestic industry. But how exactly do they work for big business? Although improving the domestic economy sounds like a great idea, increasing tariffs on U.S. imports does not come without retaliation from other nations. Just as Americans buy foreign products, other nations buy American-made products and crops. The agricultural community, for one, depends on foreign buyers each year. So, retaliation to these agricultural tariffs is a concern in this industry. Chinese retaliatory tariffs of 25 percent on soybeans, applied in response to Trump’s $34 billion in tariffs on Chinese products, has roiled the cash market for soybeans. In late May, the spot price for soybeans was $10.41 per bushel. However, the price tumbled 20 percent to $8.31 per bushel by July 16. Steel and aluminum is another industry of concern, on which President Trump imposed tariffs of 25 and 10 percent, respectively. However, he temporarily exempted Canada and Mexico, two of our biggest trading partners. The tariffs took effect this past March. When the two-month exemption was lifted, Canada and Mexico were not pleased. In fact, Canada subsequently announced $12.8 billion in retaliatory tariffs, called "their strongest trade action taken in the post-war era." 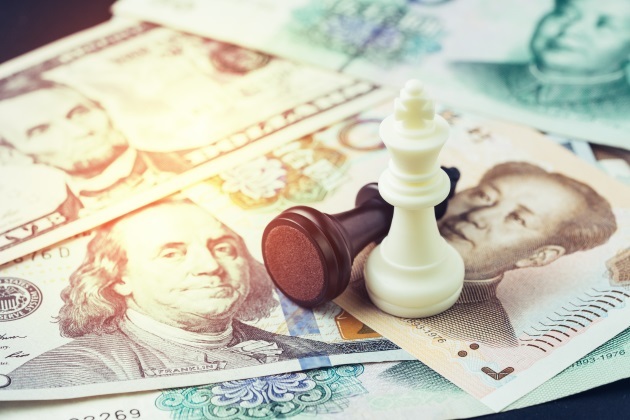 Since Canada is one of the United States’ biggest trading partners, the retaliatory tariffs are certainly something to pay close attention to. On July 1, Canada levied "dollar-for-dollar" tariffs on a selection of American-made goods, subject to either 10 percent or 25 percent taxation, until the U.S. changes its position. "Market reaction was also swift: The Dow Jones fell sharply after the move was announced, dropping 300 points after Canada's retaliation." Many American business leaders are legitimately concerned that these unprecedented Canadian tariffs on imported steel and aluminum will negatively affect their bottom line. Think of all the different types of aluminum cans we use on a daily basis, such as soup, beer and soda containers. Although these foods and beverages may have been produced domestically, they require imported steel or aluminum for their packaging. The tariffs levied on these metals will increase production costs and reduce their manufacturers’ bottom line. That increase will result in higher consumer costs at the grocery store. "The roughly 150,000 jobs that could potentially be saved in those industries is dwarfed by the nearly 2 million jobs at risk in industries that use imported steel and aluminum," according to economist Dan North. "Those expenses will not only destroy jobs, but flow through to consumers." Since the U.S.’s largest single exporter, Boeing, uses aluminum and some steel to make its airplanes "it may have a lot to lose in a Trade War with China.” In fact, some Chinese aviation analysts have gone so far to suggest that “the country is likely to favor competitor Airbus for future orders." At present, the companies are in a dead heat in airplane sales to China, with Boeing having a slight lead of less than 2 percent over Airbus. Improving the economy is more complex than just placing an added tax on some imports. Other countries might choose to retaliate against the U.S. tariffs by placing their own tariffs on American-made imports. Or, as in the case of the U.S. tariffs on China, the result could be an escalating trade war. On Sept. 24, "the trade fight" between the United States and China intensified. “The two economic superpowers hit each other with their biggest round of tariffs yet.” The U.S. imposed new 10 percent tariffs on $200 billion of Chinese goods just after midnight ET (noon in Beijing). In the end, however, it is the consumers who will have to pay higher prices, and they won’t like it. We can only hope that any retaliation by other countries will be minimal, but countries such as Turkey and China have already begun to retaliate. In fact, the Chinese Ministry of Commerce has already announced a 25 percent charge on $16 billion worth of U.S. goods. In any case, budget-conscious consumers will need to think about these bottom-line changes and how their household budgets will accommodate higher prices, even as businesses work through their new pricing models. Dr. Samantha Bietsch is currently an Associate Professor in the School of Business. She has an M.B.A. in business administration from American Intercontinental University and a D.B.A. in business administration from Argosy University. Prior to entering into higher education, Dr. Bietsch held numerous roles in the financial services industry.